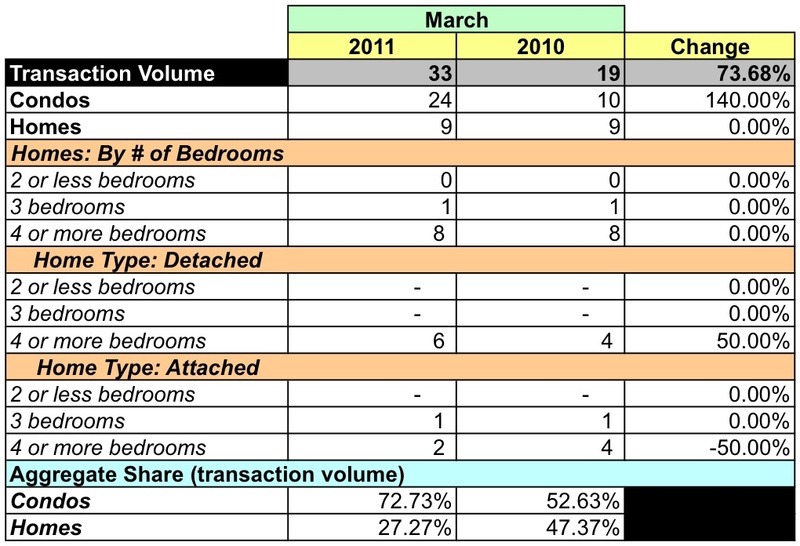 In this post I look at contracts closed in March 2011 in zip code 20008 using data released by MRIS. With Connecticut Avenue NW as its spine, zip code 20008 is home to the Kalorama Heights, Woodley Park, Cleveland Park, and Forest Hills neighborhoods. Since it includes the Naval Observatory, Vice President Biden calls 20008 his "home away from Delaware" home, too. Compared to the same month in 2010, aggregate dollar volume was significantly higher, up 108.81%. The average sales price rose 20.22%, but the median sales price fell 31.85%. Twenty-four condos and nine homes sold in March. The average price for a home rose 80.52% and 19.44% for condos. The number of homes sold in March, 9, is far less than the monthly average for homes during the last twelve month, 31. Eight of the nine homes sold in March were sold for more than $1MM. Four sold for $1-2.5MM and 4 sold for $2.5-5MM. No condo sold for more than $800K. Dollar volume for homes rose 80.52% and for condos, up a mere 186.67%. 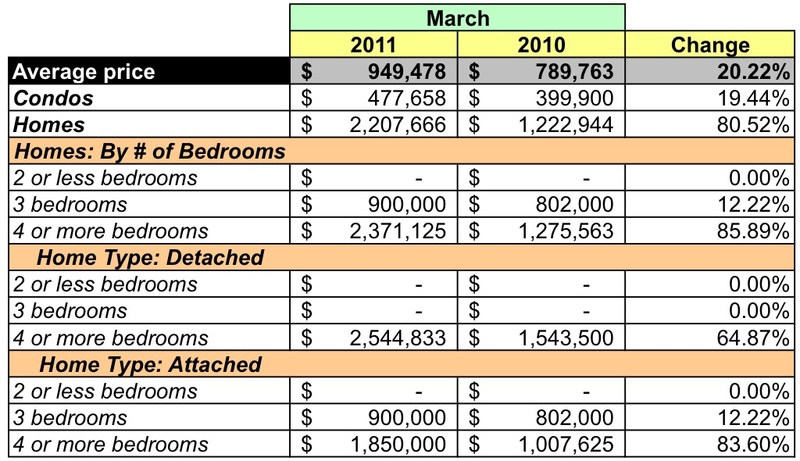 Zip code 20008's dollar volume in March 2011 was 11.18% of the District's total that month. Its average sales price was 87.4% higher than that of the District as a whole; its median sales price, 40.97% higher. Its 33 units were 5.97% of all units sold in the District. At March's sales rate there's a 3.3 months supply of homes and condos listed in 20008. 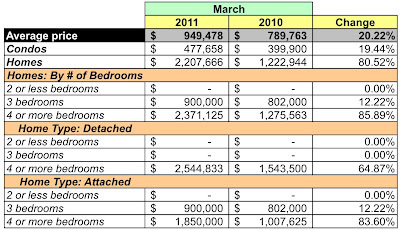 More specifically, there's a 3.3 months supply for condos and a 3.2 months for homes, both signs of seller's market. According to MRIS, properties in 20008 sold for 96.7% of the listing price. Zip code 20008 includes some of the District's most expensive properties - based on sales for the past twelve months, the average price for a 3 bedroom property is $993K. MRIS' data show that no homes are listed for less than $600K while 56 of 80 condos listed in March were listed for less than $600K. As I said in my report on 20007, if you're determined to live in 20008 and can't swing a 7-figure mortgage then condos are a viable option. My good friends at Urban Turf published a version of this post a few days ago on their site.